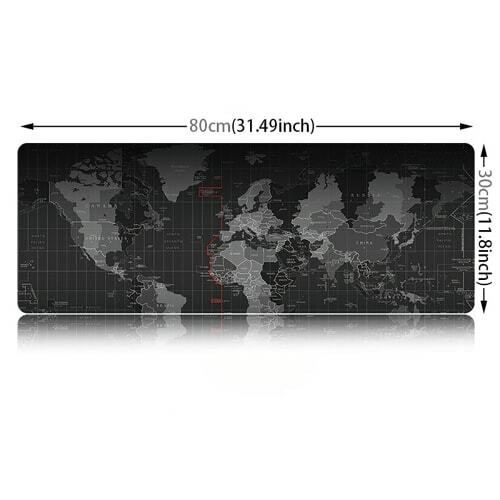 XXL mouse pad extra-large mat for only 11,95 €. 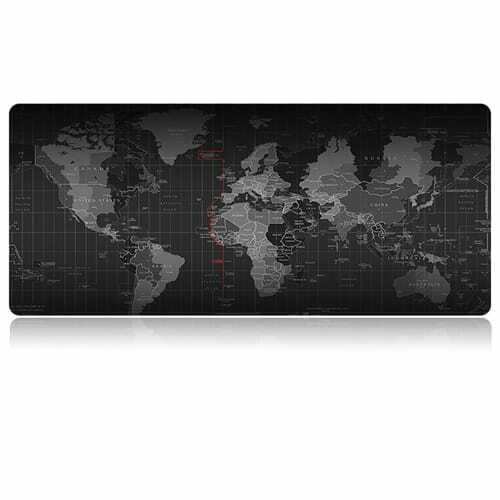 A subtle design with complete durability & precision is what our generously-sized 80 x 30 cm XXL mouse mat offers. Benefit from enough space for a keyboard, laptop, gaming mouse and/or graphics tablet, thanks to this very large, comfortable desk pad. Working or playing on your computer will be a whole new experience. It’s made of a highly resistant material and, thanks to special, non-uniform, natural linen fabric, offers accurate precision when using any type of mouse, whether optical, mechanical or laser. 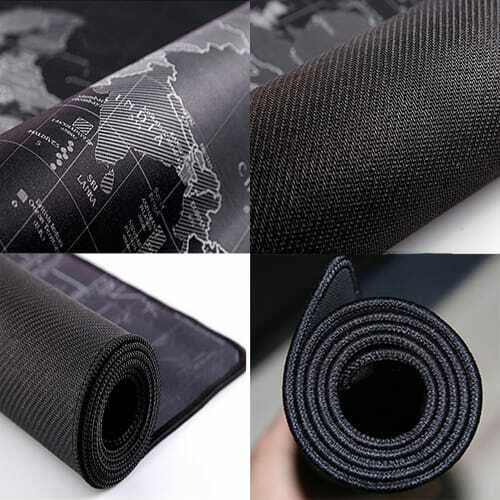 The elegant outer grey and black material with a world map design is similar to neoprene with a smooth, non-slip surface. ✓ Roll-up material only 0.2cm thick to support heavy objects!